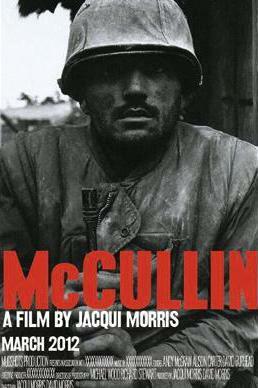 A made-for-cinema feature documentary on the influential photojournalist Don McCullin, his life and work. The documentary shows how Don McCullin created some of the latter twentieth-century’s most iconic images of man’s inhumanity to man. Working at a critical time in global photojournalism, he witnessed the change of ethos to publishing and editorial freedom for newspapers to print what they wanted, free from constraints of advertisers. He brought the impact and reality of human conflict to the general reader, going on war assignments sometimes with only twenty rolls of film. He was shooting with a respect for image now disappearing from the digital age; and we have shot our film on 16mm in order to compliment his work. The documentary uses rich, detailed archive footage and incredible in-depth interviews to reveal the truth behind McCullin’s hard-hitting and controversial images, piecing together his remarkable story in truly breathtaking style.